Research conducted to date has generated mixed results (See also Research on VMI) but the knowledge that we have gained about VMI through research over the past decade has been instrumental in advancing our understanding of its complexities and has begun to inform policies and improve practice. Research will also help to develop viable solutions for VMI. This website does not advocate the use of VMI. Its aim is to provide a point of reference for work in this field. It documents the results of relevant research, provides links to ongoing and completed projects in this area and makes available publications and resources including project reports, research publications and materials for training. It also provides details about a new training service that uses the medium of videoconference itself to provide training in bilingual videoconference communication. Most of the resources available at this website were developed in the AVIDICUS projects, i.e. 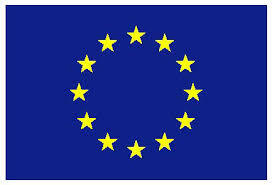 three Euorpean collaborative projects which were carried out from 2008 to 2016 with financial support from the European Commission’s Directorate-General for Justice and focused on VMI in legal proceedings. AVIDICUS stands for Assessment of Video-Mediated Interpreting in the Criminal Justice System.